So I think Tarte is another of those slow-burner brands – one that I’ve tried pieces from and liked and then gradually incorporated so many bits into my everyday makeup routine. 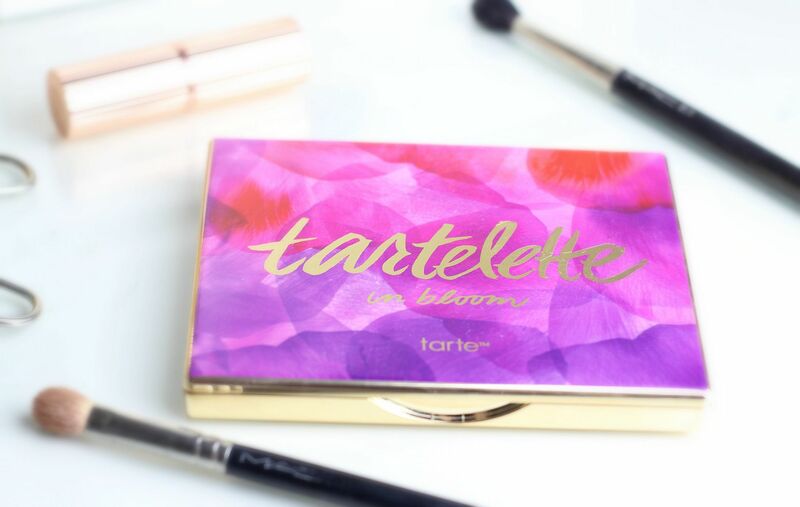 Case in point – the Tartelette In Bloom palette (I ordered mine from QVC). It’s pretty much a perfect neutral palette for anyone – 9 matte shades and three shimmers. The shimmers are gorgeous and creamy – there’s a champagne, a taupe and a bronze. The matte shades pretty much cover the whole spectrum – a cream for blending anything out, a peachy pink for using as a base and then some warm shadows for adding definition as well as some deeper shades for smoking things out. 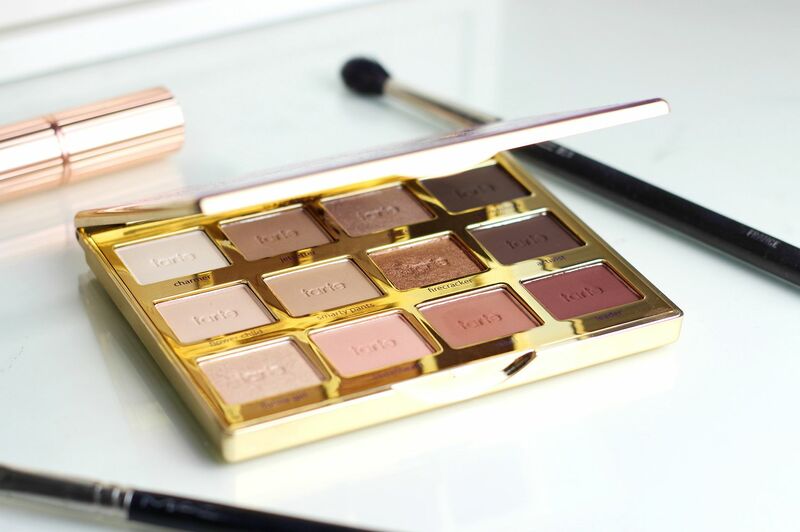 The matte shades have such a good formula – so creamy (I need the other matte palette now). I think for sure the shades are not unique, but I like having them all with consistently good formula in one palette. They’re all very complementary as well, and the whole palette has just been nicely executed. The whole palette smells incredible as well – the shadows smell like chocolate. Mmm. It smells similar to the Too Faced chocolate palettes, if you’ve smelt those. The packaging is so cute as well – it feels solid and like good quality, with the pink and purple design. Apologies for lack of swatches – I took one of me wearing some of the shades and deleted it by mistake – I have an everyday makeup fotd planned for next week, so will be sure to have some then! If you liked this post, you might like this post on wearing red eyeshadaow without looking ill or this post on why you need a zoeva palette. How I: Come up with daily content (& 25 beauty blog post ideas). Waking up and smelling like roses.